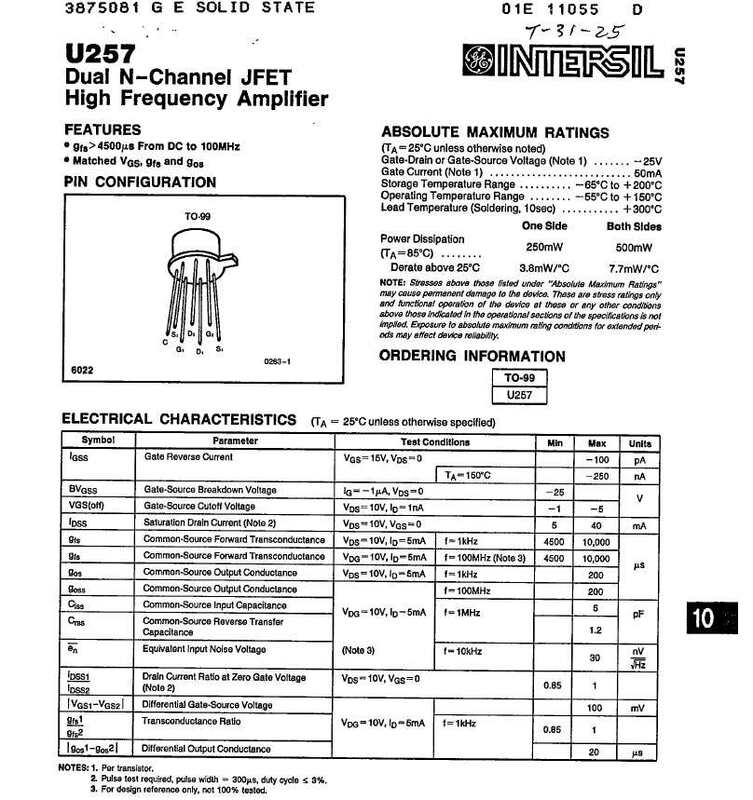 Most modern mixer information these days concerns the Gilbert Cell active mixer, but these are alternative active mixers, snippets from 1976 (by U. L. Rohde) since it is nice to have alternatives. The jpeg snippets are from a compilation book by John Markus. This circuit is using U257 dual N-channel JFETs (Intersil, now obsolete). A modern alternative might be NXP PMBFJ620. There are not many manufacturers of dual JFETs nowadays. 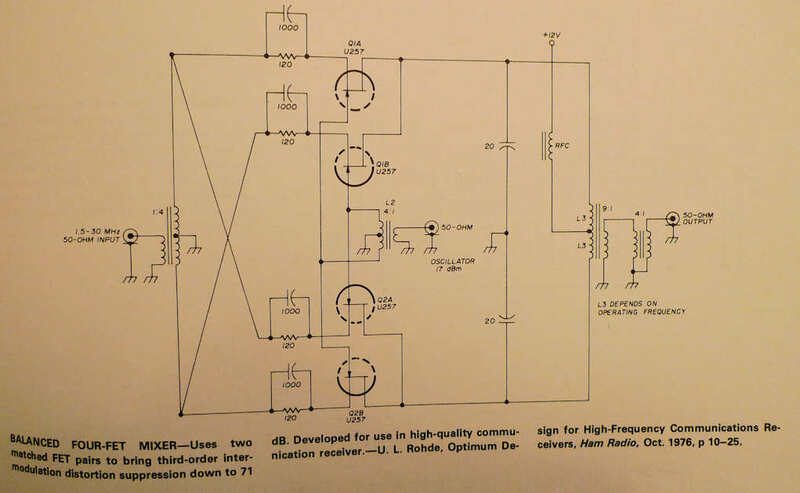 I also noticed a similar variant circuit is in Rhode’s book “Communications Receivers: DSP, Software Radios, and Design “, in figure 6.13. This one uses two dual-gate FETs, and a transistor that places the local oscillator signal into the additional gates. 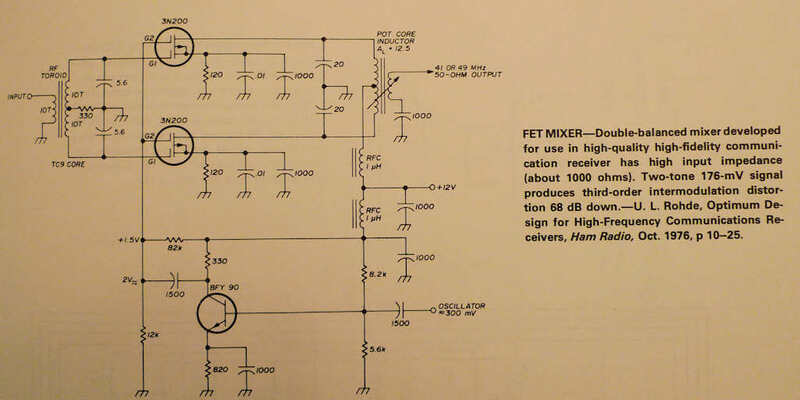 It is also in the Rohde book mentioned earlier, figure 6.12, entitled “Push-pull dual-gate FET balanced mixer”. The book references Ham Radio magazine, March+April 1982 for these circuits, not Oct 1976.